We will update this blog once a week on the last school day of the week. 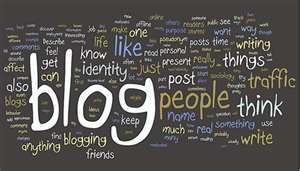 At that time we will send out an email to notify everyone and remind them to check the blog. There may be other updates which we may not notify you of. Those who have signed up for the blog will receive automatic notification of any updates. If you have not signed up, please take a little time to scroll down and check on previous updates. We recommend that you sign up for the blog so that you do receive automatic notification. We would like you to regard our weekly blog as our newsletter. We recently received a public safety announcement from the Vancouver Police Department. Please see the following link to a VPD Media Release about a high risk offender who is residing in the Vancouver area. Please read the information on the posting carefully and report to the VPD if you suspect anything. We always recommend taking the time to review safety and “Stranger Danger” with your children. Staff have been asked to review “Stranger Danger” with their students. If you have any additional questions, please feel free to call the Vancouver Police Department’s Public Affairs Section at 604-717-2680. We have three volleyball teams: junior girls, junior boys and senior girls. They started practicing a little while ago and games started this week. The team members are enjoying this experience. We encourage as many students as possible to come out to join our teams. There is a great deal to be learned by playing on a team that goes well beyond the skills specific to the sport. Thank you very much to Janie Pang (parent volunteer), Sharon Hales (teacher sponsor), Jason Naipaul (VP coach), Shannon Mulhall (teacher coach). and Marianna Humeniuk (teacher coach). This is a very important day in our school calendar. We have a ceremonial assembly at which our Scouts, Cubs, Brownies and members of like organizations form a colour party to bring in the flags. Sadly we do not have enough space to invite all parents to this assembly but we do invite those whose children are participating. Please withold all applause as this is a ceremony and not a performance. All students who are not wearing uniform are asked to wear black and white on that day as far as possible. 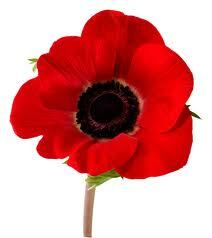 Poppies will be provided at school and there will be opportunities for students to contribute to the poppy fund starting next week. Although we will observe a minute of silence on that day, I encourage everyone to observe the two minutes of silence on November 11th at 11:00 am. We want our school to be open and welcoming for all. On the other hand, some staff are finding it difficult to work if our environment becomes noisy and hallways are blocked. This particularly applies to staff who are trying to clean rooms and leave everything in good order for the next day. We ask that parents leave the school by 3:15 pm unless they have a reason for staying, such as a meeting, or a program, or they are volunteering for something. Also, please be aware that students are expected to follow our code of conduct at all times. When they are indoors, they should use inside voices, walk and be polite to everyone, including their parents, grandparents or other caregivers. We thank you for your cooperation and want to assure you that we do welcome your presence in the school. Interesting Link to some Eminent Thinkers talking about Education in the 21st Century. One of the big questions facing educators at present is prompted by our rapidly changing world. Change is so rapid that it is challenging to predict what kind of life we are preparing our students for. It is becoming more and more difficult to engage young learners and to this end, the BC Ministry of Education is looking towards “personalised learning” as a possible key to motivating them. Here is a link of a video clip of some eminent speakers including our own superintendent, Steve Cardwell. 7505 Arbutus Street, Vancouver B.C. Arbutus Kids World Society is a not for profit child care center offering quality, affordable out of school care to children at Maple Grove and McKechnie Elementary schools. We pick up the children from Maple Grove in a bus each day at 3:00 p.m. Kids World has a wonderful group of staff and we run programs each day after school with activities including; yoga, baking, sports, jeopardy and art. We are open until 6:00 p.m. Monday to Friday and our fee of $430 per month includes transportation, snacks, supplies and Professional days. We currently have a few spaces available and are opening registration up to Maple Grove and McKechnie families. Please contact Theresa or Jen at (604) 269-6612 with any questions. Please be aware that programs such as Mad Science rent the space from our school and are not sponsored by the school. We are happy to help with the promotion of this program as so many parents value this, but we are not responsible for supervision. Please make sure that students are picked up on time from all after school programs. 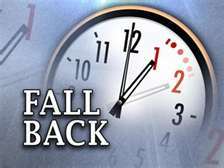 November 6th – 2 a.m.
Don’t forget to turn your clocks back on Saturday night (or Sunday morning).